With the upsurge of social media and content marketing, many in the marketing world are asking whether traditional PR has already had its day in the sun. But this month McDonalds unleashed a stunt so pure and brilliant that online and print media was alive with it. We look at this and some of our other favourites stunts from this year. To publicise their new line of Signature Crafted Recipe burgers, McDonalds last week introduced the Frork, a fork without the prongs with space to fit three French fries. The point? McDonalds want to draw attention to just how packed full of toppings these new burgers are and the utensil is designed to help customers scoop up every last bit of topping which might fall from the burger onto the plate. As Anthony Sullivan, presenter of the tongue-in-cheek infomercial from Mcdonalds which launched the Frork said, “wait, is this a problem? Probably not…”. It is, as one journalist wrote this week, a useless tool for solving a problem no one has. 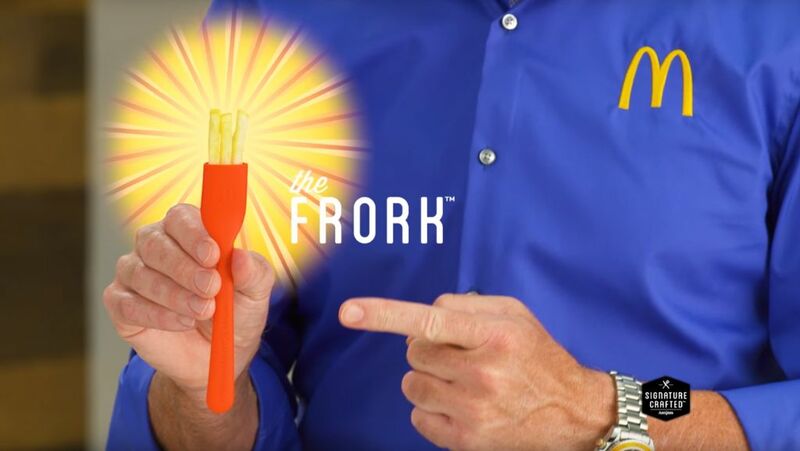 As a piece of PR, the Frork is an idea so ridiculous / genius that the internet was alive with the announcement last week. Of course, the Frork is actually not available to buy. It comes only with the purchase of certain burgers from the new range in selected US restaurants. It is a great example of how a brand generates coverage with an innovative, newsworthy idea and (relatively) small amount of expense. To promote the new Baywatch film last month, Paramount studios organised the world’s first slow-motion marathon in Los Angeles, mimicking the opening credits to the popular TV series. Runners were invited to take part in the 300 metre stretch, dress in fancy dress if they wished in the full glare of the world’s press. The stunt created great online content and unsurprisingly, with a high proportion of participants dressing in red bathing suits, gained international widespread press coverage. Successful PR stunts don’t require a McDonalds / Baywatch sized budget to hit the news-stands, just a great idea. In March this year, Folkoperan, a theatre in Stockholm, was promoting its show “God Disguised” which aimed to illustrate how exposed groups are ignored in society. Several homeless people also performed in the show. These performers took to the streets and sat in positions you would expect to find them – subways stations, outside supermarkets – and held signs offering two free tickets to the first people to stop and talk to them. The theatre filmed many of the performers and, as you would expect, thousands passed by and ignored the message. It took 12 hours for the first person to claim two free tickets. A great stunt from a theatre aiming to use the power of the press to highlight an important social problem. The bronze charging bull is a famous landmark in New York’s financial district, placed in homage to America’s strong reaction to the 1987 stock market crash. To mark International Women’s Day in February this year and aiming to highlight the lack of gender diversity in US top performing companies, Wall Street firm State Street Global Advisors placed a bronze statue of a young girl staring down the well-known bronze charging bull. Whether you view the stunt as promoting the issue or the company’s name, there can be no doubting that the stunt made the headlines. The stunt made for a great picture, included a well-known landmark and tagged onto International Women’s Day. Last month US teenager Carter Wilkerson tweeted US fast-food chain Wendy’s asking how many retweets he would need for a year’s worth of free chicken nuggets. Wendy’s response? 18 million. Using hashtag #nuggsforcarter, the teenager quickly set about achieving this goal. As number of retweets grew, Wendy’s of course recognised a great piece of press coverage and started promoting Wilkerson’s campaign themselves. While he has not achieved 18 million retweets (yet), the news that at 3.42 million retweets he has broken the record for largest number of retweets ever, set previously by Ellen Degeneres’ Oscar selfie, has been covered by press outlets across the globe. Wendy’s has given Wilkerson his year’s worth of free nuggets anyway, no doubt as a thank you for a great PR stunt. Prize winning series Mad Men may have finished its golden run in 2015, but Heinz has just cottoned on to the PR value of combining forces with a TV giant. Last month Heinz announced they were giving the go-ahead on a series of adverts first proposed for the brand by none-other than Mad Men’s Don Draper. 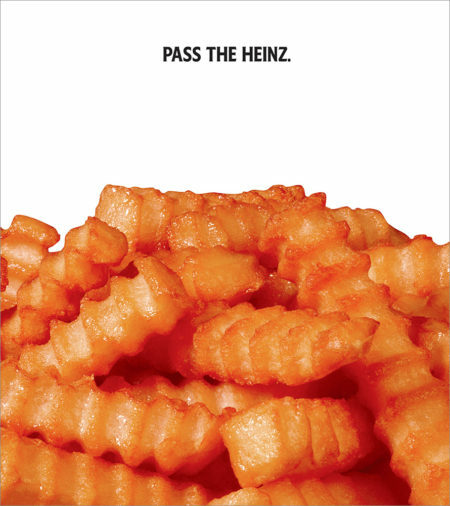 In episode ‘To Have and to Hold’ from season six (aired in 2013), Draper pitched the idea to Heinz that a campaign needn’t feature the product at all, “because the consumer will complete the thought. The product will be in their imagination, which is even more powerful.” Heinz has even given the fictional ad agency campaign credits. As these examples prove, PR stunts can and do work in today’s world. Marketers don’t need a huge budget, just a great idea which captures the imagination of the press. Social media serves to generate news of a stunt but these days, as Wilkerson’s nuggets show, social media can now be a PR stunt in itself. The most successful stunts tower above the rest for their innovative ideas and their ability to generate unique pictorial and film content.